After our night of rest and relaxation in the Ryokan in the mountains, we hoped on a train for the 45 min ride into Kyoto. Kyoto was once the capital of Japan, and is located in the middle of the largest island Honshu. Kyoto is very old, and still carries many of the traditions of Japan. With thousands of temples dotting the city and hills around Kyoto, there is no shortage of sites. We were also lucky enough to see a Maiko (geisha in training) leaving work one night scurrying to a cab on her way home, a very rare view into old school Japan. Kyoto is also famous for having some of the best food in Japan, and a troop of the famous Snow Monkeys. Snow monkey just chilling, while huge Koi fish swim by. 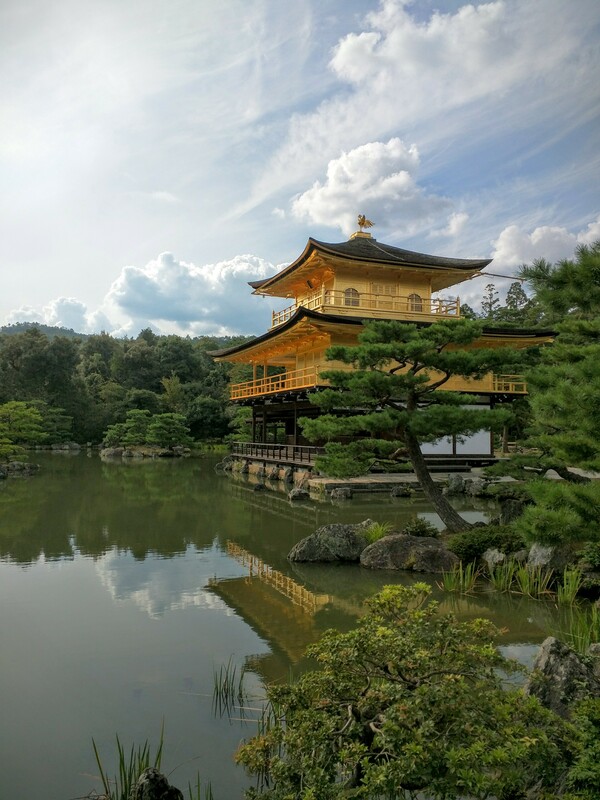 A visit to Kyoto is not complete without seeing Kinkaku-ji or the “gold temple” which is covered in 22k gold leaf just like the capital in Denver. We are not photographers, it’s just not hard to capture this stunning temple. This is one of our favorite pics of the whole trip so far. The next day we hopped on the bus to Arashiyama to see the snow monkeys and visit the bamboo forest. 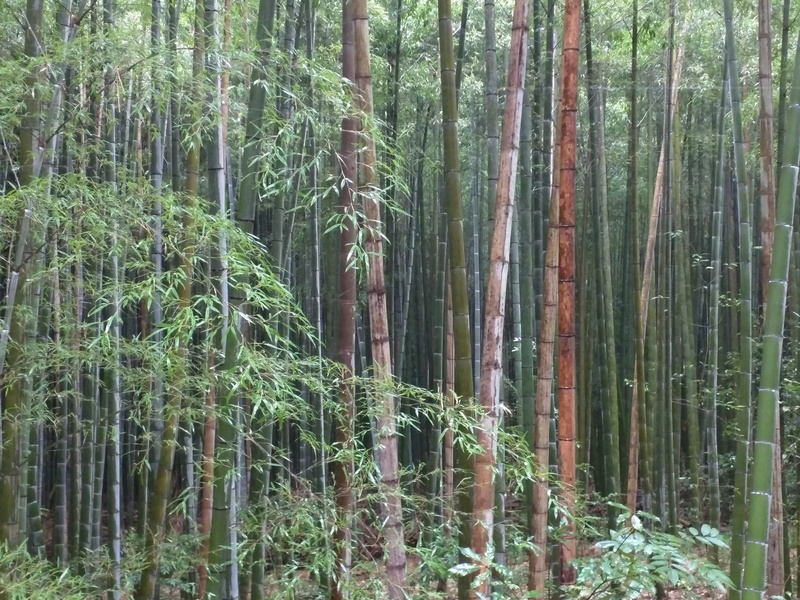 A fun day trip, and it was great to hangout with the monkeys, but the bamboo forest was kind of cheesy. 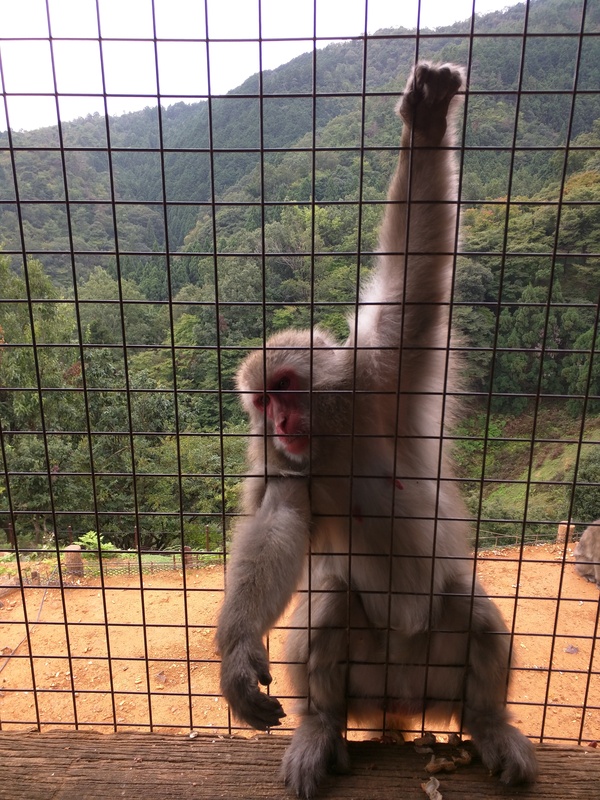 Although these monkeys are technically wild, they spend a lot of there day hanging out near this ranger station where people are allowed to feed them. Being monkeys they got pretty good at begging, storing the food in their cheeks to eat for later. The bamboo forest was filled with Chinese tourists making it not the peaceful serene setting we were hoping for, especially in the pouring rain, but we tried to make the most of it. We love to cook. Dan loves overly expensive things. Enter handmade Japanese knives. One of the things Dan wanted to get on our trip from the beginning was a handmade knife from Japan. Japanese knives are famous among chefs worldwide for their quality. Our knives came from Shigeharu, a small family run shop that is much less famous than a few of the major knife makers in Kyoto. The Shigeharu family knows knives. 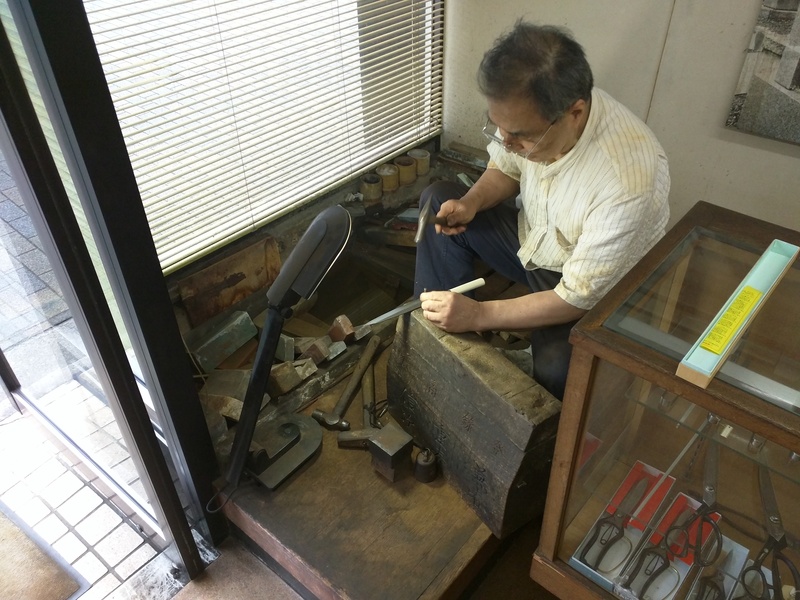 They have been making knives in Kyoto since the 13th century! Here the knife maker hand chisels his name into the blade of Dan’s new sashimi knife. Kristin constantly reminds Dan of how practical owning a sashimi knife is, Dan doesn’t care. 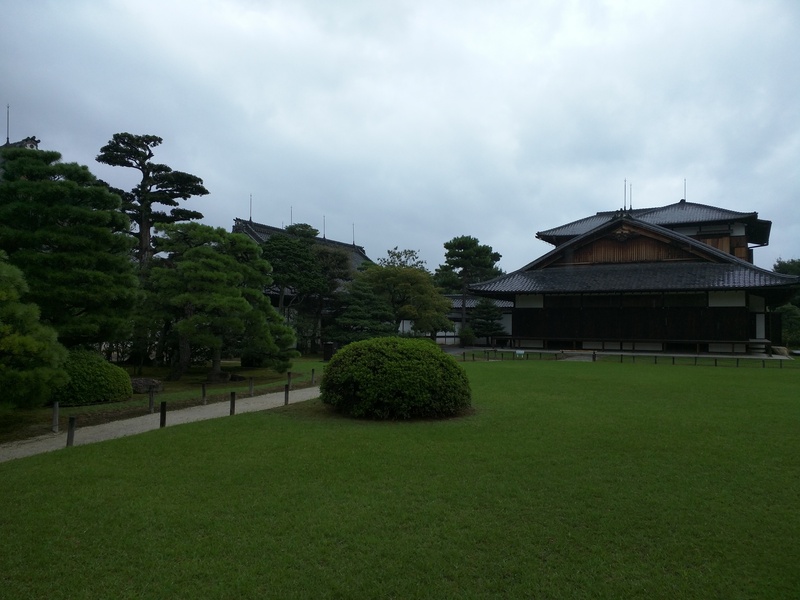 Our favorite historical attraction in Kyoto was our visit to Nijo Castle. A short walk from our Airbnb, Nijo Castle has served many purposes over the years, including at one point being the emperors official residence. What we loved about the castle was that the visit made us feel like we were living in feudal Japan. Beautiful inside, the castle features rice paper walls, hand painted tiger murals and tatami mat floors. When the emperor lived here, samurai would’ve patrolled the grounds, and it’s easy to imagine that scene today. 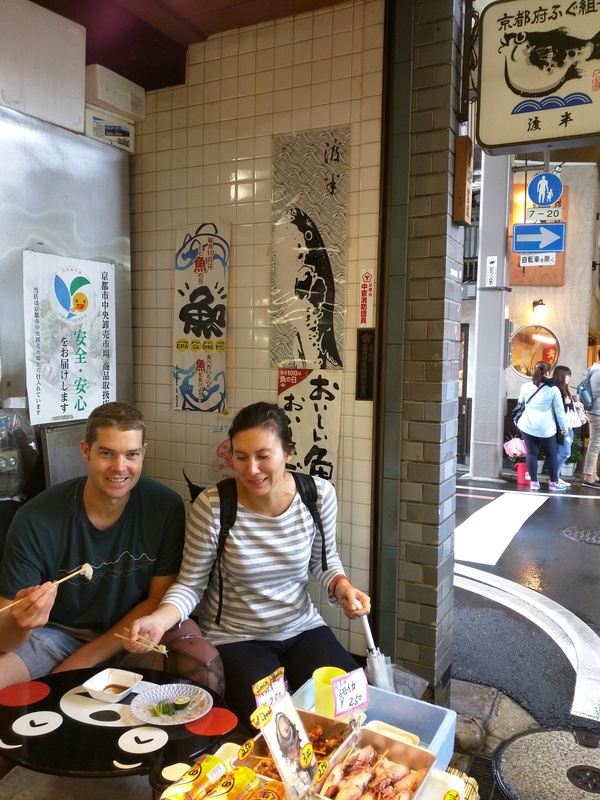 In Dan’s mind, no trip to Japan would’ve been considered complete without eating the world’s most dangerous meal. Fugu or blowfish, is a Japanese delicacy that can kill. It contains neurotoxins that give you a nice numbing sensation when you eat it, but be careful, getting a bit of organs, especially the liver can lead to paralysis and death. Chef’s have to train for years to become Fugu certified, and all of the waste from the fish is sealed in hazmat boxes. Kristin is clearly very excited to try the Fugu! 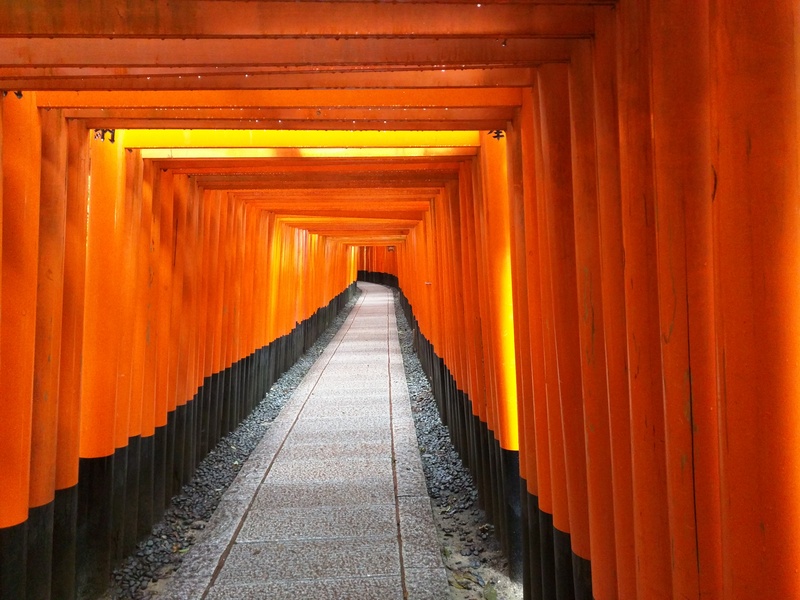 Fushimi Inari Taisha, or the orange shrine is a Broncos fan paradise. 20 min outside Kyoto, thousands of Broncos orange gates dot a mountain side, and it’s easy to spend an afternoon wondering up and down the hills marveling in the size of the gates. All donated by families, the gates are about 10 feet high and make for some stunning pictures.